Seasoned restaurateurs and well-respected gourmands share their secrets to success. 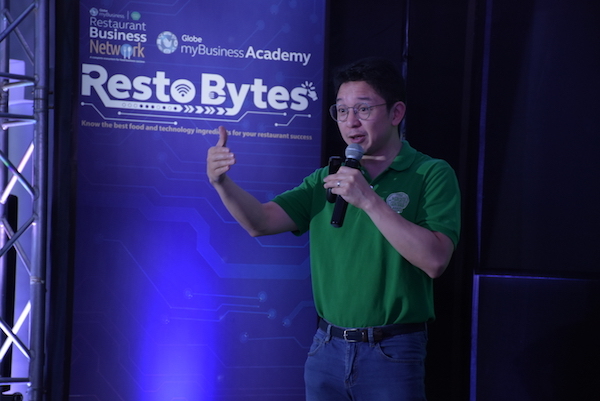 Globe myBusiness Academy recently rounded up some restaurateurs for Restobytes, a short workshop on growing their businesses through innovation and digital transformation at ISCAHM Pampanga in Angeles City. Chef Kenneth Cacho, ISCAHM Pampanga’s culinary director, shared that his vision for Pampanga was to be like its Southeast Asian neighbor, Singapore, which offers a plethora of cuisines. “Imagine a province similar to Singapore with a vast selection of restaurants serving not only Filipino food but also international cuisines with standards so high that they will be coming here just to sample our cuisine,” he said. We picked up a few things that entrepreneurs, restaurant owners, and everyone else can learn from when it comes to starting a business. Check the industry you stand in and take a look at the competition. What makes you different from them? Some research and development can go a long way in helping your restaurant stand out. Never be satisfied with what you already have. Tibig added that you should not be content “with what’s hot and what are fads.” Your ideas should be sustainable such as new variations, promos, and loyalty programs. Always sport your entrepreneur hat. When you have that entrepreneurial mindset, you’re constantly on the lookout for opportunities such as things that are done in other countries that can be brought to the Philippines. RJ noted that you should also consider what innovation can you take from another industry and introduce it in the industry you’re in. Irritations can be your next business opportunity. They can serve as the inspiration for your business endeavor or innovation. In solving your own irritation, you could be addressing someone else’s concern and in turn, create an income. There are various tools online which you can use to market your business and understand your audience. Knowing them can help you custom fit your business to their needs. While you can learn from seasoned entrepreneurs and discover more digital tools to help ease running your business, the strategies to make them work and have a successful business will come from you. You understand your market best and you know what products are your best sellers so it’s up to you to create the best strategy for your food business. The speakers at the workshop all agree that one key to successfully making your business flourish is for restaurateurs to embrace the many digital tools that can make operations easier and reach more customers. By adopting these tools, more time can be devoted to creating better products and providing more wonderful dining experiences for customers. For more tips for your food business, sign up to Globe myBusiness Academy today.